February is my favourite month of the year for obvious (birthday) reasons but this year, I found myself, not exactly NOT enjoying it but just being worried a lot. Until I wasn't. I tried to convince myself that I would land a job in 1 month OR be able to extend my visa for another month, but I didn't. And so there was Bangkok. 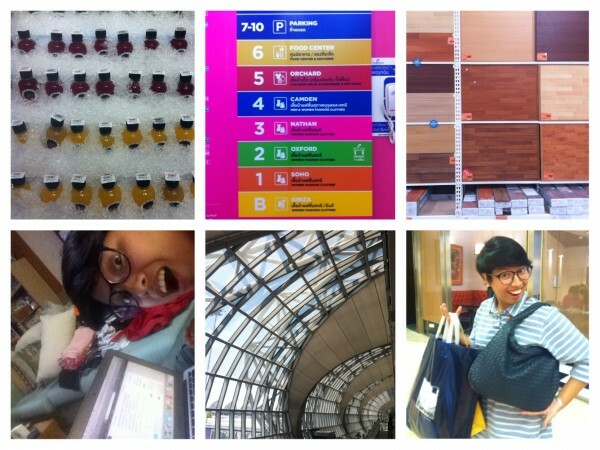 The trip I had not planned for (or budgeted for) but ended up doing anyway. Talk about throwing caution to the wind. It turned out to be quite the experience as well. So I was pleasantly surprised even if things didn't go according to plan. I ended up meeting fairchilds in real life for the first time because I thought I would need a local sponsor for my visa extension. After much drama on trying to see who would be able to meet the weird schedule (the middle of a weekday), Natalie comes to my rescue and we end up having Burger King for breakfast and pies for dessert sandwiching my swift rejection for an extension. I was so bummed but also relieved there was a resolution. Now I could plan ahead. So I tried my best to stay positive and changed my game plan and edited all my job profiles o inform them that I would be out of town and my parents were so supportive of this sudden upheaval again in my life. 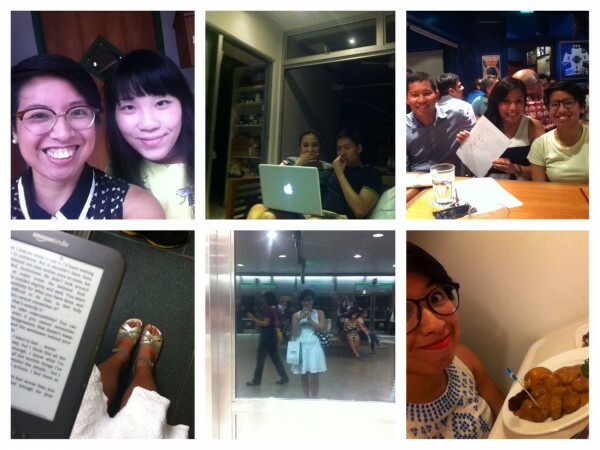 Then I went on to enjoy my last week in Singapore which also happened to be the week leading up to my birthday. My brother's girlfriend's family invited us for snacks at their place where I proceeded to eat my weight in the most amazing Indian food I tasted. I also attended a quiz night with Jenny, Roy, my cousin Acid and her boyfriend Toby and my sister, Pamy and the night's theme was CRICKET. So naturally we sucked. But we weren't last place! I was wishing catteo or waltzmatildah were there to give us all the answers. Alas they were not. Then I enjoyed my birthday (also known as my second to the last day in Singapore) and I wrote about that already, but it was good. Hello 28 years old. Be kind. Then I flew to Bangkok and for my first few days there, I was literally just following my aunt around as she ran errands. This aunt of mine also happens to be my godmother (she's my dad's brother's wife) and she knows Bangkok almost inside out having lived there for 8 years. So i tag along from mall to mall and from my cousin's school back home and it's fun and free (lodging and food!) so I'm just enjoying the ride. Literally. She gets chauffeured around town, so it's literally a life I do not lead on a normal basis. This is heaven. We go from wholesale baking supply stores to mall department stores to flower markets to orange markets (really, we bought two sacks of oranges consumed 3/4 of one of the sacks) and vegetable markets and just places I wouldn't normally go to. I also went to pick my cousin up at the International School of Bangkok and it cemented my never to be fulfilled dream of going to an international school. It just looks classy. Also after a month of behaving food and exercise-wise, it all goes down the drain in 24 hours as my aunt indulges me with food, food and more food and who am I to complain or say no, really? My next couple of days are spent doing the tourist things: temples and massages. didn't go to all the temples (there are too many) but I went to the major ones and the Wat Phrae/Grand Palace was crazy crowded but really pretty. The seat of parliament/Dusit Palace Garden was beautiful and Jim Thompson's house was a nice tour. The Golden Buddha was HUGe and I couldn't seem to find the ticket area but my favourite temple was Wat Pho, which has the reclining Buddha that was MASSIVE. 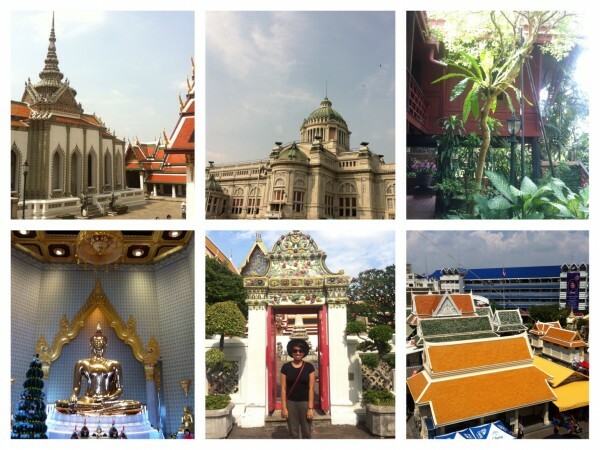 The entire grounds were less crowded than the Grand Palace so I enjoyed it immensely. The architecture and attention to detail on these temples are crazy amazing. Also, it was hot. Very hot. But then I had to wear pants and sleeved shirts to enter the temples so there I was all covered up and sweating like crazy. I hope I burned some calories in the heat. 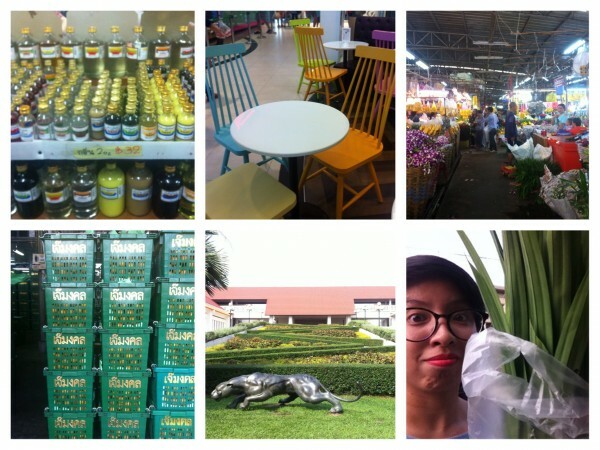 My last couple of days were spent either haunting the malls (not that I bought anything -- I had a carry on luggage only and I didn't exactly bring a lot of cash but I did buy earrings and a hat) and just ogled the variety of things Bangkok had to offer and it was A LOT. Platinum mall was five plus floors, two towers of shopping paradise. If I hadn't just purged clothes in Manila I would have been more tempted. I had been getting massages almost daily for very cheap and I was loving it but then on my last two days, my tail bone started hurting like crazy. Anytime I sit or stand up it would burn so I took some painkillers and stayed away from the massages. And then it was time to head back to Singapore. Or so I hoped they'd let me back in. After hearing stories of people getting sent back to their home countries but I was blessed and lucky and just over-all amazed at how there were zero lines at the immigration counter when I got back and the guy didn't ask me a single thing (even if I had all my papers ready and all my reasons ready to roll out of my tongue). So over all, February was short but sweet and will still continue to live on to be my favourite month. And now, I seek everyone's continuous crossing of fingers as I attend interviews and presentations on this second wave of my job hunt. I hope you're all doing well. here's to a great March.